We may have found our oldest Reaseheath alumnus (former student), 94 year old Peter Plant! Originally from West Kirby, Peter came to Reaseheath as a ‘practical student’ in 1938, back when the college was known as the ‘Cheshire School of Agriculture’, Reaseheath. With no prior farming background aged 17, he spent a year at the School learning the basics of farming before studies were interrupted by the outbreak of the Second World War in 1939. 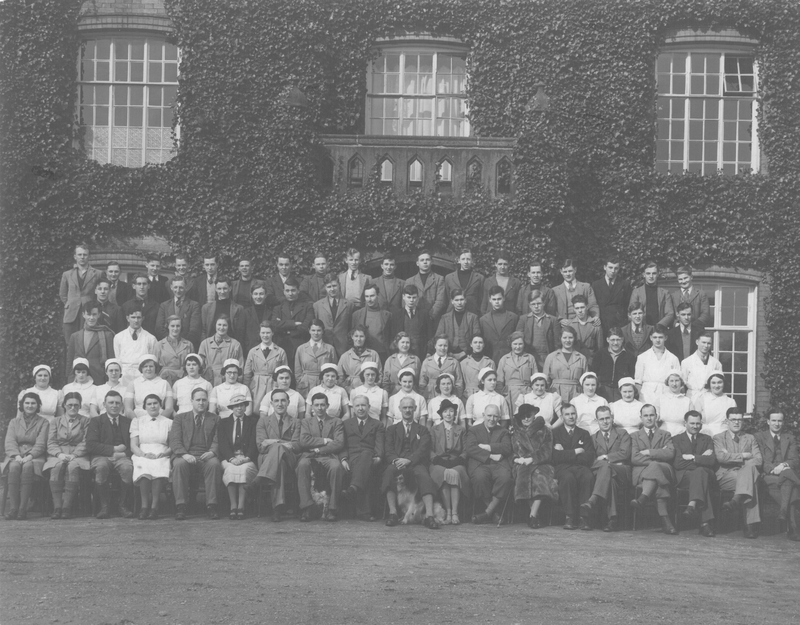 General teaching at Reaseheath was suspended in September 1939 to accommodate for the training of new recruits to the Women’s Land Army (WLA). The WLA was first established at the beginning of World War One and was reformed in 1939 after the outbreak of war, to supplement the agricultural labour force across Britain. 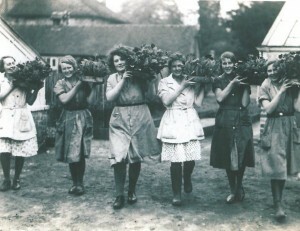 Trainee ‘Land Girls’ came to the Cheshire School in cohorts of around 20 at a time to complete a one month practical course in ‘general farming’ (including arable farming, marketing gardening and diary work) to prepare them for work on farms across the UK, in aid of the war effort. Whilst the WLA training got into full swing, Peter moved on to the Midland School of Agriculture, Sutton Bonnington, in order to continue his ‘theoretical’ agricultural studies. Peter then returned to Reaseheath in 1941, however this time as a farm employee. Peter was one of around 20 members of staff working at the Cheshire School of Agriculture in the 1940s. 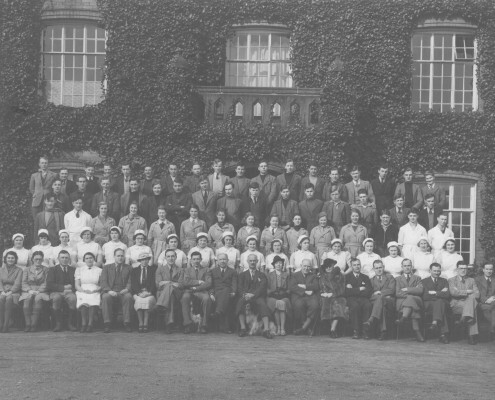 It was during this time Reaseheath became well known as one of the major training centres for the Women’s Land Army, and by 1943 over 1,000 ‘Land Girls’ had successfully completed their courses here. Despite the brief encounter, the late Betty Plant and Peter went on to marry towards the end of the war. Peter stayed at Reaseheath for the remainder of the war, whilst Betty went to join the ranks of the WLA on a farm back in Yorkshire. After a number of years working apart, the pair then reunited and went on to spend much of their working lives in Malpas, Cheshire region. What’s your favourite memory of Reaseheath College? Cheshire School of Agriculture? Cheshire College of Agriculture?